Guess why August 21st is so special and joyful? 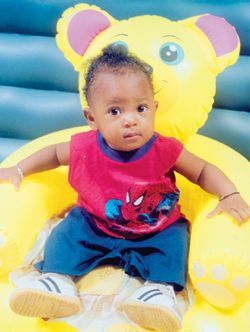 A “Prince” was born to us celebrating his 1st birthday – Junior Francois of Old Sandy Bay. Greetings from mom June, Dad Julian, sister – Paige, Grandparents, Aunts and Uncles. Wishing him long life and happiness on his Big Day.